When the holiday season is over the plants used for decorating, or those received as gifts, are still beautiful and can last for years. Poinsettias, azaleas, amaryllis, Christmas cactus, paperwhite narcissi, Norfolk Island pine and cyclamen are among the most popular plants. Click here to go to our Plant Library and Tips that has information about, and care instructions for, these plants are many others. Need more advice? 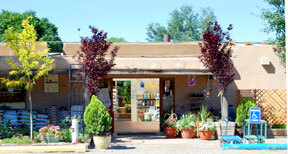 Come in to either Payne’s store and talk to our tropical plant experts.